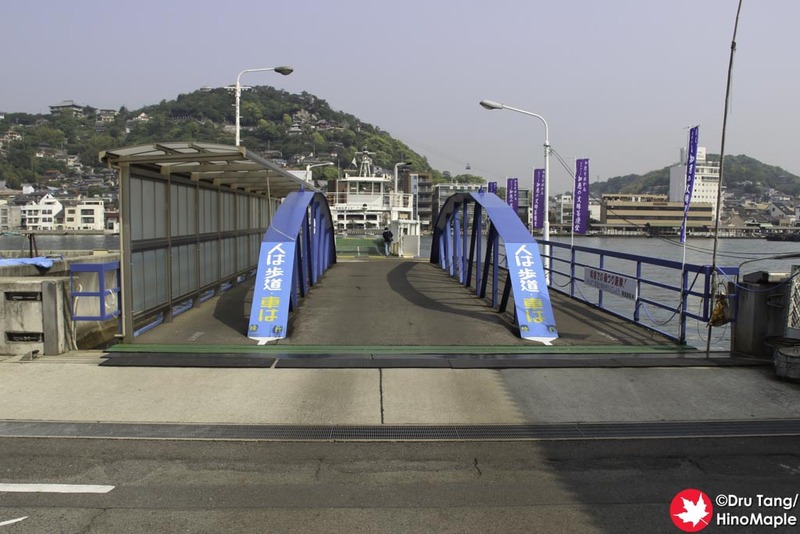 If you are starting from Onomichi on the Shimanami Kaido, there is only one way to get to the first island; you have to take a ferry from Onomichi to Mukaishima. The ferry is very fast, small, and cheap. The ferry I took was the furthest from the rental cycle area and cost 110 yen one way. You can see both ports easily and the trip only takes a few minutes. 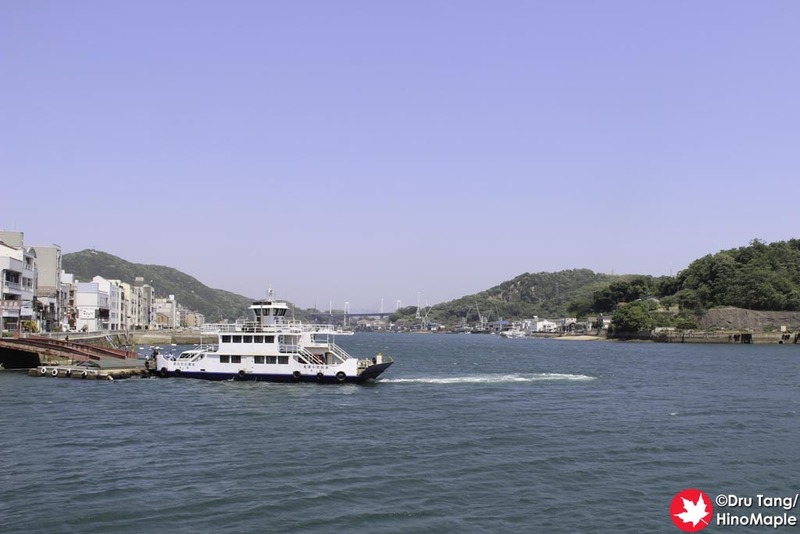 Whichever ferry you take, you can be sure that you’ll have no problems getting to and from Onomichi. The most common way for cyclists to get to Mukaishima is to use the “Eki-mae” port. It is the closest to Onomichi Station, closest to the bicycle rental shops, and cheap as well. At just 110 yen for a passenger and bicycle, you also get the farthest. It heads up a small canal on the island and saves you about 300 meters of cycling. By and far, unless you have some other reason to use the other ferries, this is probably your best bet. 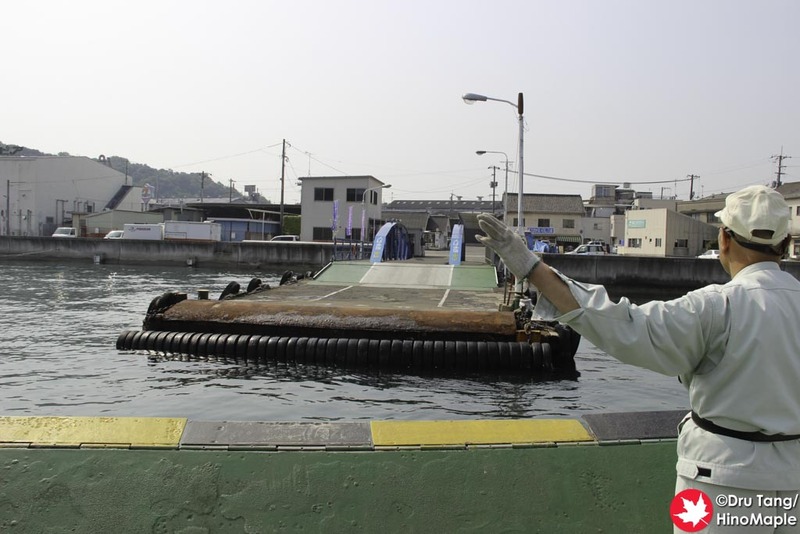 The next most convenient ferry is to take the ferry just down the way from the Eki-mae port. Unfortunately there really are no explicit names to each of the ferries so it is difficult to explain without a map. Basically, it is the middle ferry. It follows a similar route to the Eki-mae route but only goes to the coast of Mukaishima. The best reason to take this ferry is to save money. From what I can understand, it is only 70 yen to cross on this ferry, and it includes using your bicycle. From what I can tell, most of the people use this ferry. I decided to use the most inconvenient and most expensive ferry to cross to Mukaishima. It is about 5 minutes from the bicycle rental shop to get to the farthest ferry terminal but I wanted to stop off at the Mukaishima side to look at a bus stop. It is apparently a famous bus stop that was used in various Japanese movies, so I figured I might as well go there. It adds a little time to the entire journey but it isn’t a huge difference. At 110 yen for the journey, it was the same price as the Eki-mae route, so I didn’t lose anything other than time and energy. I am unsure of how to pay for the other ferries, but on the farthest one, you have to pay on Mukaishima. 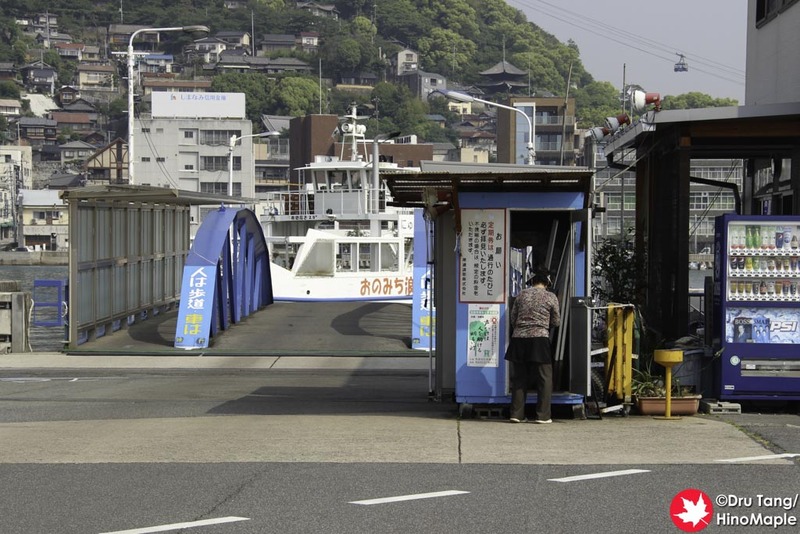 The ferry workers don’t accept money and there is nowhere to pay on the Onomichi side, so you have to walk up to the toll booth just past the ramp on Mukaishima. It was a fun experience as a nice old lady came out from the booth and asked for money from us. We happily paid and then did a little sightseeing at the port before really setting off on our journey. We even got a friendly “take care” (お気を付けて) from her after we paid. 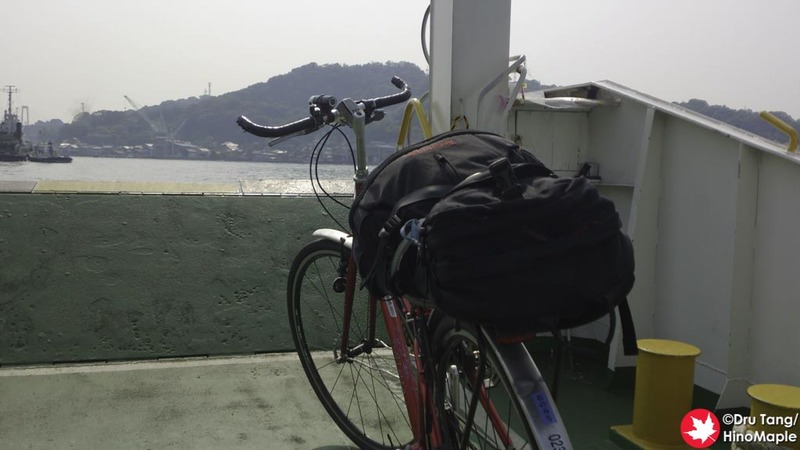 This entry was posted in Boats and tagged ferry, japan, Mukaishima, Onomichi by Dru. Bookmark the permalink.